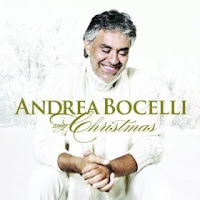 Get the most downloaded Christmas album of the year My Christmas by Andrea Bocelli for only $7.99. As one of the former 3 Tenors Andrea Bocelli is considered by many as the greatest vocalist of our time. This My Christmas Album has been selling for as much as $14.99 this Christmas Season on MP3 and as much as $16.99 on CD. At this price point it's a fantastic deal.